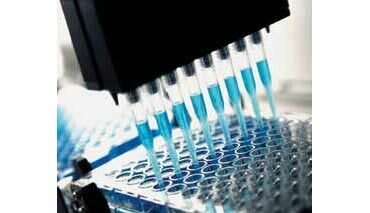 Established in 1988, Wall Control Systems – specialise in Industrial and technical gas control systems. With over 35 years experience in the industry, we have experienced or solved almost every high flow, high pressure and high purity application. Wall Control Systems serve customers in Chemical, Pharmaceutical, Food, Engineering, Laboratory, Educational, Training, Electronics and general industry. Our extensive knowledge and range of solutions that serves these markets, positions us well for the future to meet customer and end-user needs. Wall Control Systems, since 1988, are the exclusive distributors of the internationally acclaimed GASARC range of industrial and technical gas control equipment, comprising the Techmaster, Labmaster, Specmaster and Chemmaster product ranges. Gasarc range of equipment covers grade N4.8 to Grade N6.0 , see specification here for details. 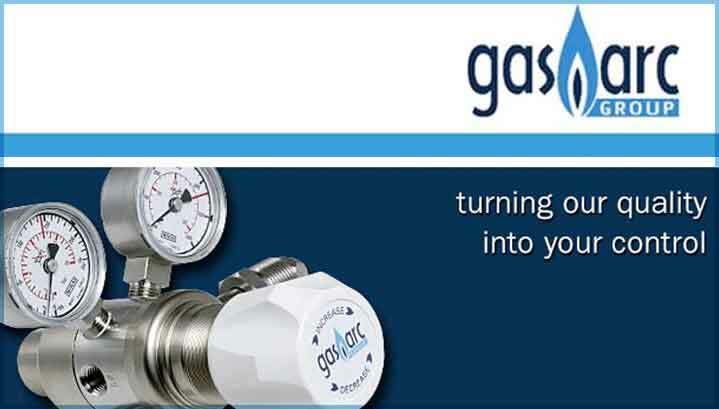 GASARC are the largest manufacturer of speciality gas and industrial gas control products in the U.K.
WALL CONTROL SYSTEMS and Gas-Arc offer technical support and help with complex gas control installations, product behavior and performance. 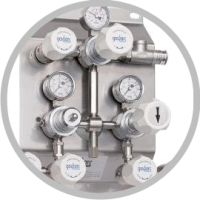 When gas delivery requirements are at high flow, high pressure or high purity or any combination of the same, an optimal engineering solution can be challenging. Wall Control Systems have many years experience of delivering complex systems to specification, within time and on budget. 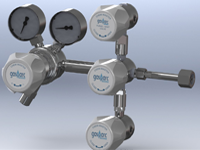 Gas flow can have specific demands and high gas flows can have a set of problems specific to the rate of flow. 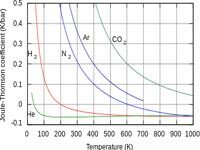 Apart from the obvious equipment selection to achieve the flow certain gases heat up at high flow while others can have significant temperature drops, the Joule-Thompson (Kelvin) coefficient. WALL CONTROL SYSTEMS can offer precise control of the flow conditions which can result in dramatic flow differences. 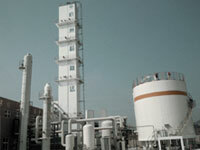 Gas delivery at high pressure can produce some of the more interesting challenges that can be faced by the industry. WALL CONTROL SYSTEMS offer systems up to 300 bar ( gas dependent ) are currently the standard, however in research pressure of many multiples of this figure are not unheard of , and WALL CONTROL SYSTEMS can supply proposals for these systems. 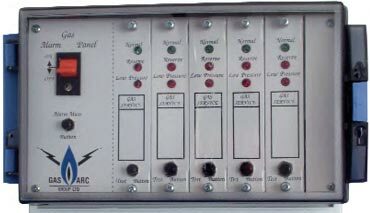 WALL CONTROL SYSTEMS can supply all equipment in purity ranges from Basic industrial @ N4.8 to N6.0 with a complete range of regulators and process equipment to handle all pure gases and gas mixtures, industrial, technical, laboratory, and corrosive gases in a range of materials from brass, nickel plated brass, stainless steel. 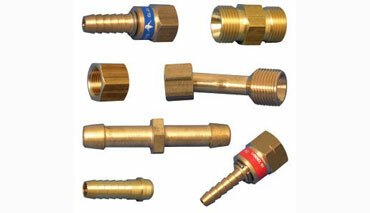 WALL CONTROL SYSTEMS can supply gas regulators for any gas and in a variety of materials. The cylinders fittings in general are BS341 or the new NEVOC (New European Valve Outlet Connections Soon to be changed to ISO5145). WALL CONTROL SYSTEMS can also supply regulators with the US CGA connections or many other European and worldwide cylinder connections. 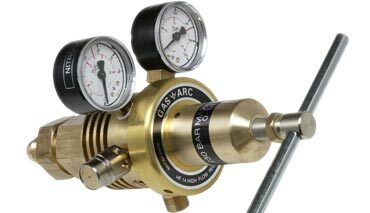 The Gas-Arc manifolds supplied by WALL CONTROL SYSTEMS are available as single to 2 x 6 Manual or Automatic cylinder changeover up to 0-35 bar output. For higher ranges or specialist designs WALL CONTROL SYTEMS can have manifolds made to almost any configuration. 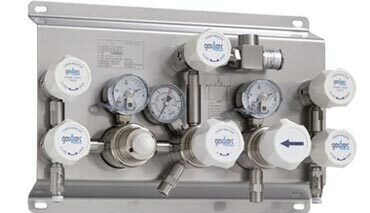 Manifolds can be wall mounted or stand alone and in a variety of materials for particular gas / mixtures and purities. There is a comprehensive range of wall and bench mounted regulated outlet points to compliment the extensive range for all gases and gas mixtures. WALL CONTROL SYSTEMS can provide monitoring alarm system for all manifolds and regulators for indication of cylinder or MCP contents. These systems can be combined with Intrinsically safe relay units for the installation of alarm systems in ATEX areas. Gas detection and gas monitoring systems of varying levels of complexity and sophistication are also available on request. While WALL CONTROL SYSTEMS specialise in gas equipment specifically and pressure generally , we have extensive contacts in this and other industries, which allows us find quickly and accurately all manner of equipment and services, to detailed specifications or just performance requirements. We can purchase this equipment on an agreed and transparent mark up basis passing on any savings that we can negotiate on your behalf or simply forward you the details on a flat fee, ad hoc, basis.